Joy Soler is a co-owner of Revolutionary Grounds, at 606 N. Fourth Ave. The bookstore and coffee shop specializes in books that aren't necessarily on the best-sellers list; genres include LGBTQ, feminism, economics, Latin America and sustainability. Previously a social worker with the Southern Arizona AIDS Foundation, Soler and her husband, Paul Gattone, have been running the leftist bookstore for three years now. 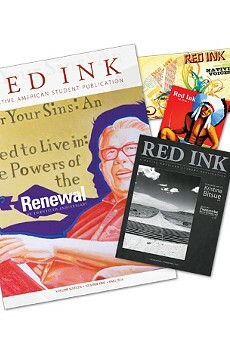 For more information, visit www.revolutionarygroundsonline.com, or find them at the Tucson Festival of Books. Why did you decide to open Revolutionary Grounds? We opened the store in October 2008. When we first met, Paul used to say he had a dream of opening a leftist bookstore, a big community space where we could spread literature, and people could meet and discuss things. ... I always loved the idea of owning a bookstore. We talked about it for a number of years before we actually decided that we should try to do it. We talked to some other people who might join in a collective, but we couldn't get folks to come together ... so we ended up just doing it ourselves. 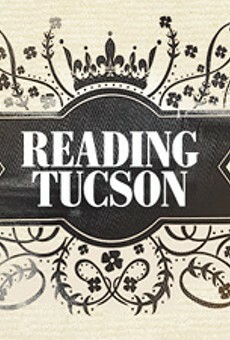 Why do you think Tucson needs a place like Revolutionary Grounds? Tucson didn't have a leftist political space before we opened. There's Dry River, the anarchist collective, and it's great, but it's not necessarily well-known. ... A lot of folks will say, "Well, it's an anarchist place; I'm not an anarchist," so they might not want to go there. And the books that we carry here, you can't really find anywhere else. ... Most of these books, you're not going to wander into Borders or Barnes and Noble and find them on the shelf. We think this is literature that is important to have available for the public. We really wanted ... a place where all marginalized communities could be comfortable. ... That's what we felt a need for, and that's what we tried to create. What is your current favorite book in the store? There are so many good books. Somebody will come in, and they'll pick a book, and I'll say, "Oh that's such a great book!" ... Somebody just bought a copy of Vegan Soul Kitchen. ... The author (Bryant Terry) has a ton of fun. He pairs suggested music to go with making each recipe. We have a book that came in recently called Hands on the Freedom Plow, which I haven't read yet, but I'm looking forward to it. It's about the women leaders of the Civil Rights Movement. What do you like most about owning your own bookstore? Business ownership is not easy. ... It's almost overwhelming in terms of the amount of detail that you have to stay on top of. I love being here. I love the customers; they're great. ... I have the best conversations here all day long—and it's so much fun ordering books. When they come, I'm like a kid in a candy store. Why do you think people should check out Revolutionary Grounds? One, because we have books you can't find anywhere else. Two, because we are locally owned, so the money that's spent here, more of it stays in the community than money spent at a national chain. We support our community in whatever ways we can. We are constantly giving donations, or volunteering our time, or providing space for community groups. We're a very new business, so we're still working really hard to get by, but we still feel it's important to give whatever we can to support the causes that we believe in. So if you think it's important to support things like No More Deaths, or programs for homeless gay and lesbian youth, or schools, or Take Back the Night ... help us out in doing that. ... We also happen to have the best coffee in town. There's been a lot of talk about bookstores going out of business because of eBooks. What do you think? A couple of years before we opened, a lot of small independent bookstores had been going out of business all over the country—and the big-box bookstores had been expanding all over the country. What folks were saying was, "It's the demise of the independent bookseller!" We opened anyway, because we are a niche market, and we felt like we could make it work—and then the big boxes started running into trouble. There are some authors who crank out a book every six months. ... Those are great for e-readers because they're almost interchangeable. ... (The books we sell are) the kind you want to hold on to.